Lead Cyber Solutions was established in 2014 to be a technology company that served the needs of individuals and businesses alike. We provide a wide range of services from technical support to vulnerability assessments and security audits. We employ a team of skilled white hat "hackers" who think like the criminals to find the problems before the actual criminals do. Our new team of physical security auditors work closely with our "hackers" to ensure that there are no gaps in your security. Click the images to be directed to the organization's website for more information. We have partnered with the STOP.THINK.CONNECT. campaign to raise awareness for safety and security when utilizing the internet. 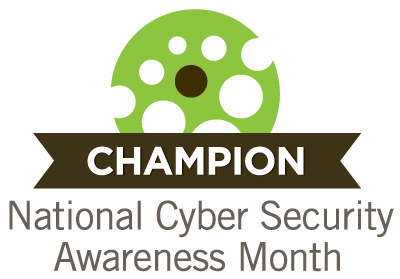 We have also become a registered National Cyber Security Awareness Month (NCSAM) Champion. Our staff maintain professional certifications that enable them to stay current on the latest technology and serve you to the best of our abilities. This is one of the many certifications held by members of the staff. CEH is specifically directed at discovering weaknesses and vulnerabilities in target systems and uses the same knowledge and tools as a malicious hacker, but in a lawful and legitimate manner to assess the security posture of a target system(s). Staff also have industry recognized training from CompTIA including A+, Network+, and Security+.